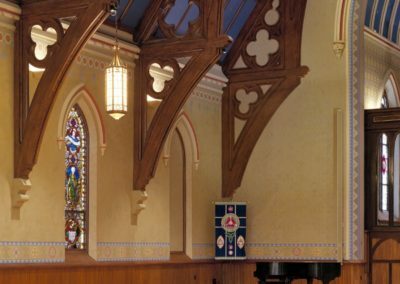 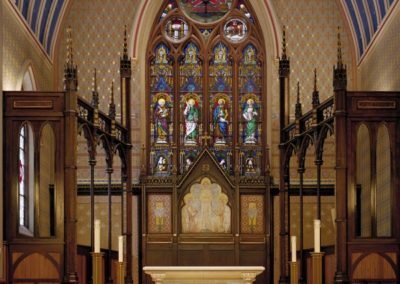 Conrad Schmitt Studios was asked to investigate and restore the most significant of the previous decorative paint schemes in this 140 year old Episcopalian church. 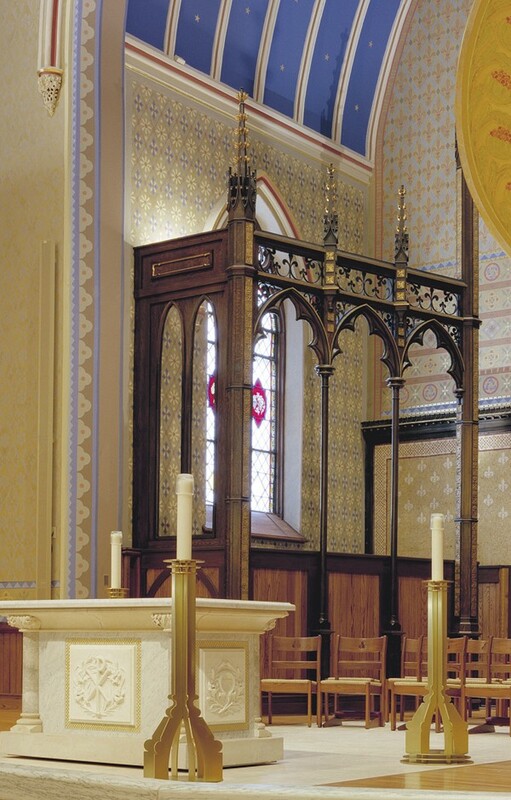 The project also included modifications to the liturgical layout and to the existing furnishings. 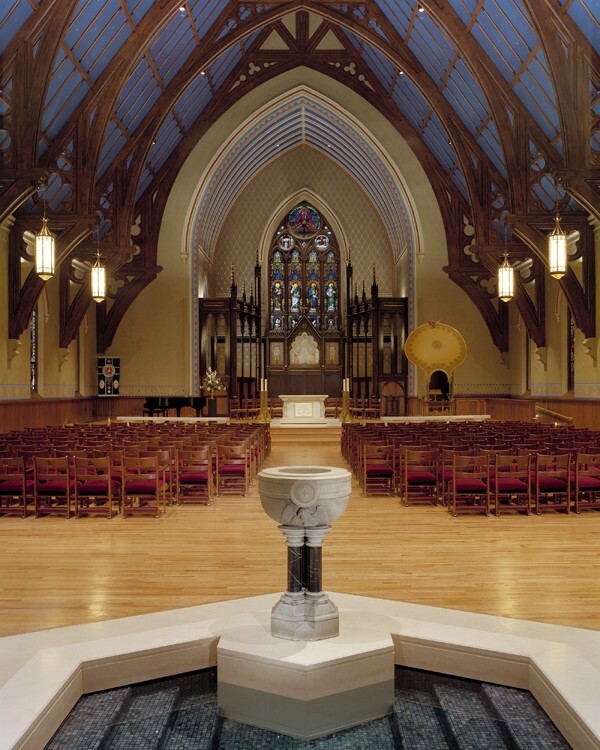 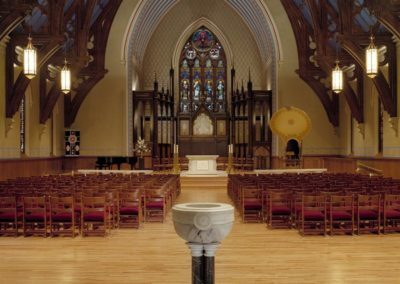 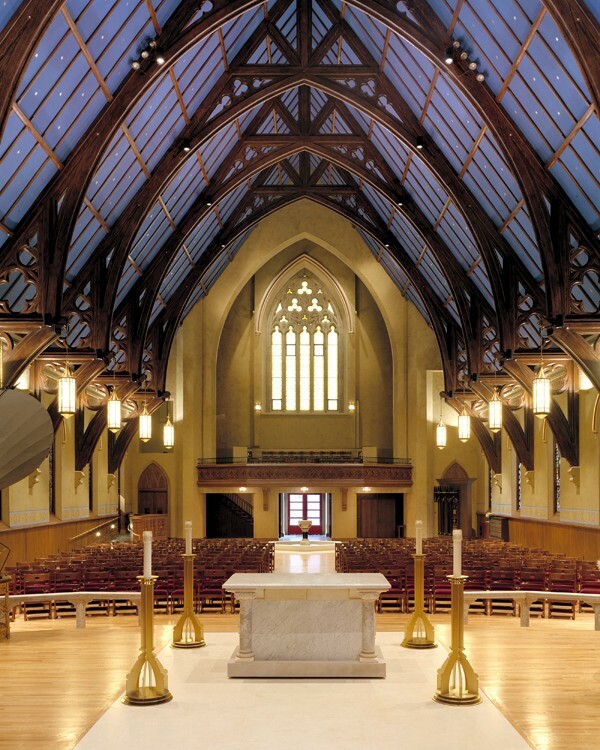 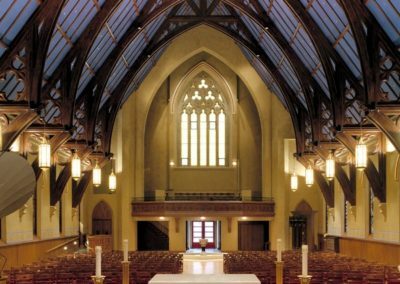 CSS worked with Rogers Krajnak Architects of Columbus, Ohio on Trinity Episcopal Church, which has won several awards. 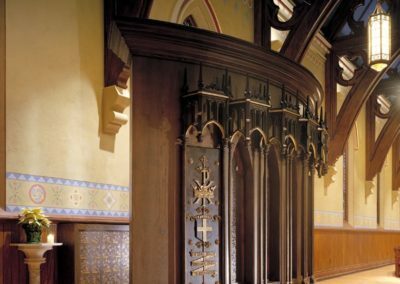 The rediscovered and replicated paint scheme, originally designed and executed by Louis Comfort Tiffany includes: stenciling, gilding, glazing and trompe l’oeil. 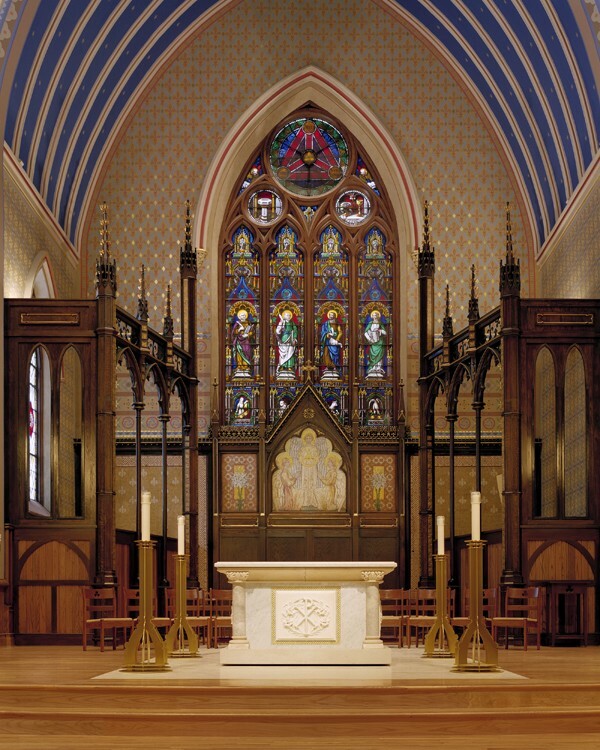 The trompe l’oeil can be seen in the decorative oak truss closest to the sanctuary. 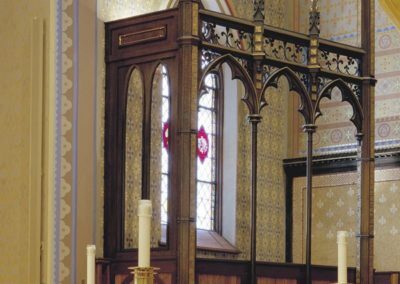 It is made not of wood, but of paint. 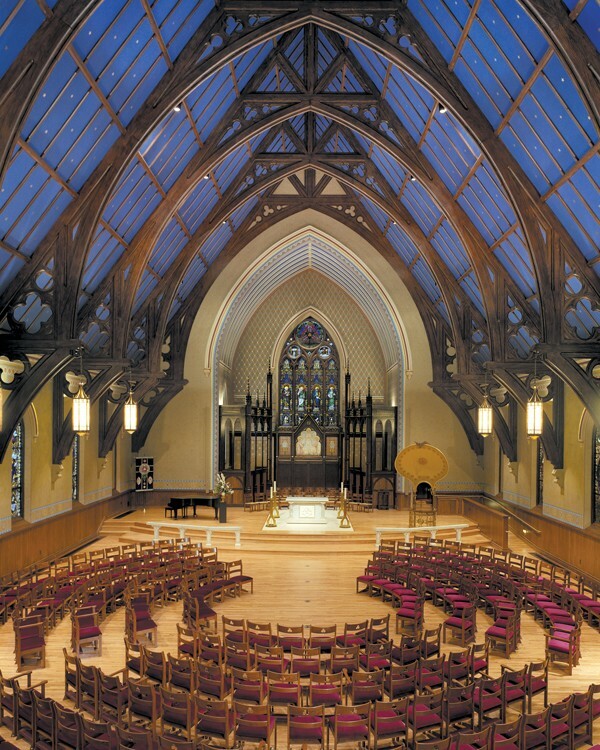 The overall project reflects a successful integration of restoration, renovation and new construction. 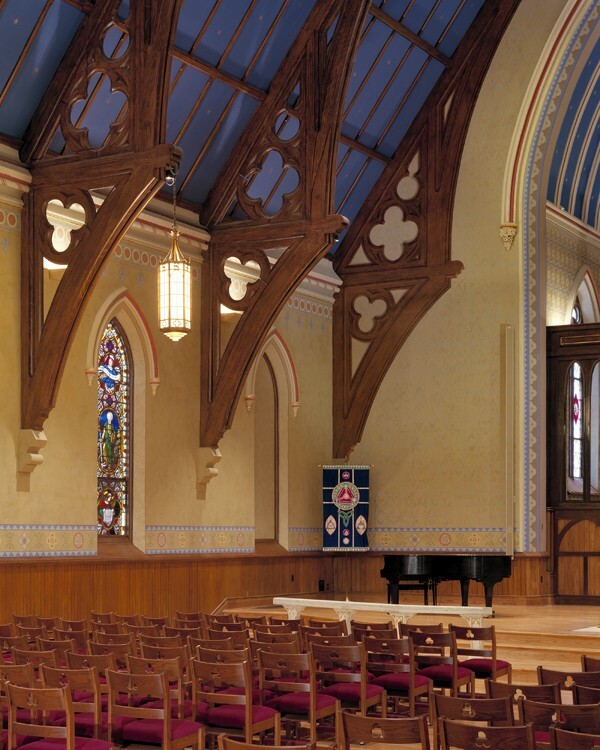 New lighting, sound and mechanical systems, as well as new wood flooring were included. 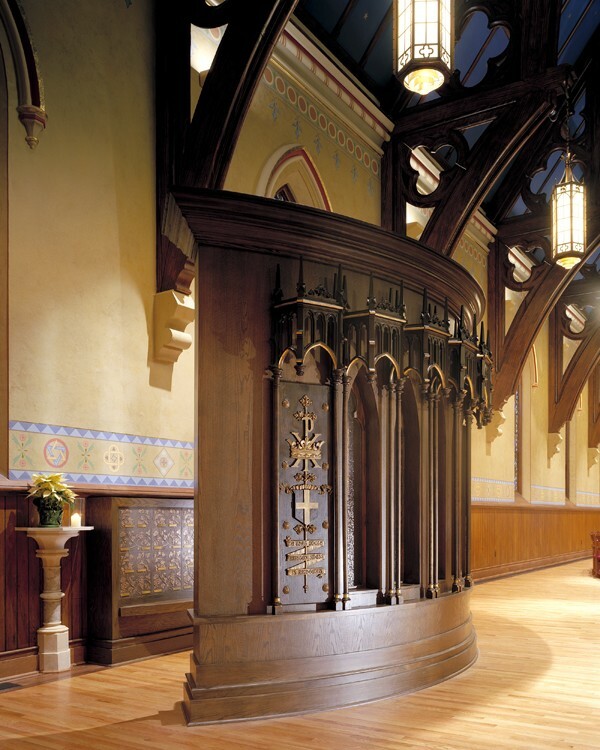 Some existing furnishings were creatively preserved. 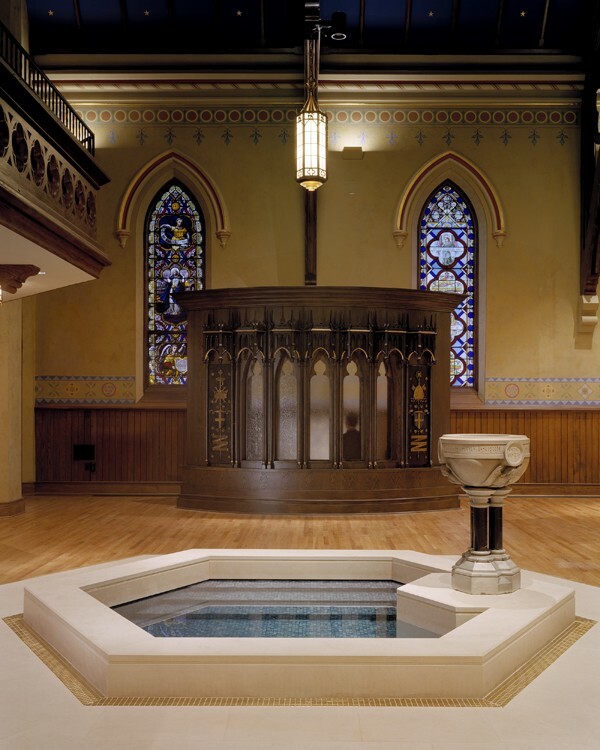 The 1876 marble infant font was incorporated into the new immersion pool to accommodate baptism for all ages. 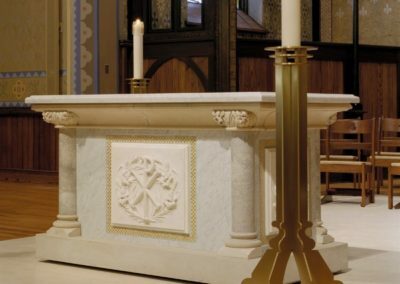 The new altar is reworked from the former high altar and contains marble, limestone and mosaic tile. 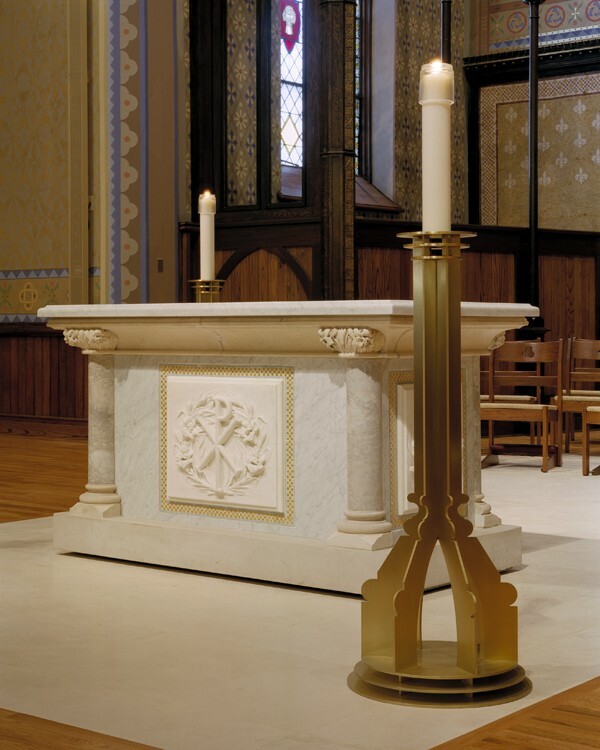 A limestone “rug” with four new brass candles at the corners further defines the altar space. 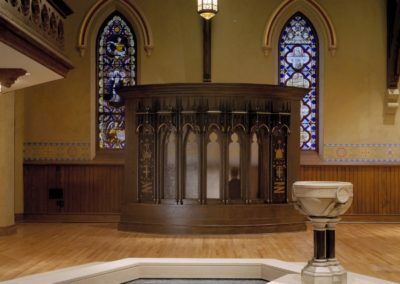 The renewed space provides a fresh yet traditional environment for worship.